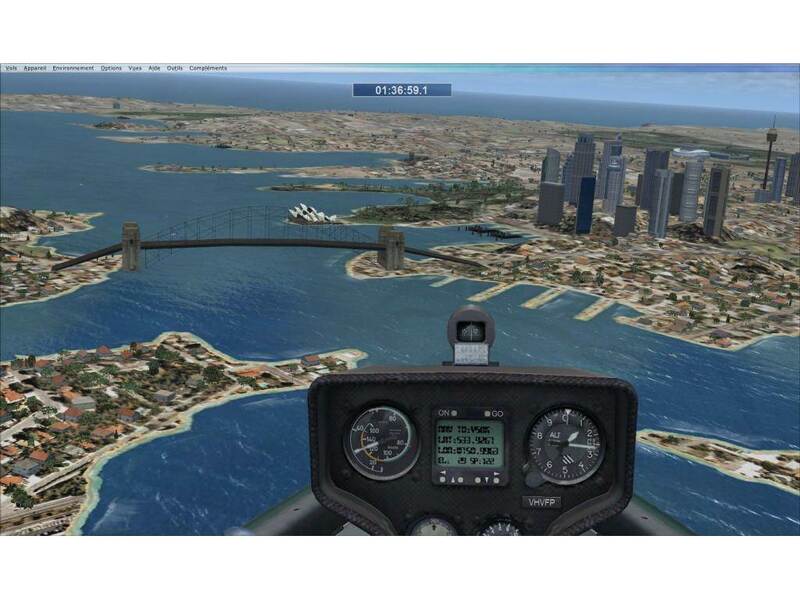 Like flying gliders or looking for a real FSX challenge to test your skills? 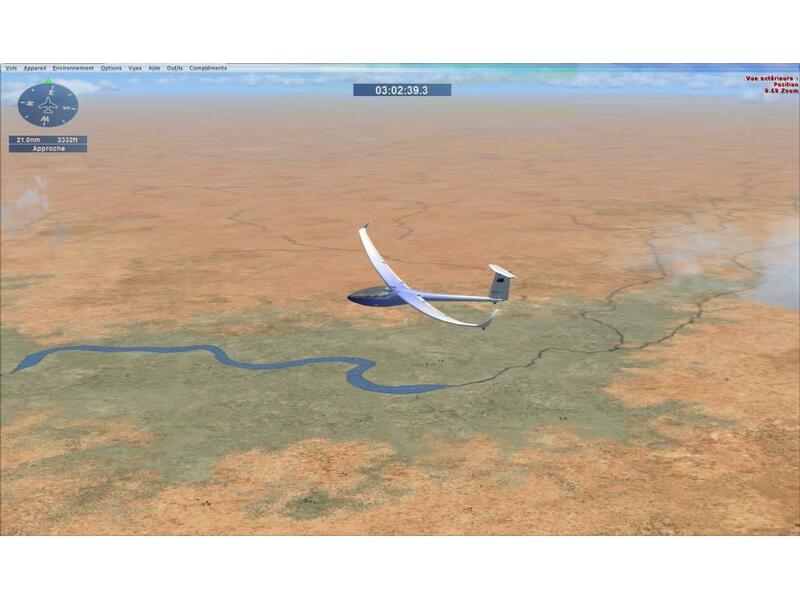 This race-style challenge flight takes you from the west coast of Australia, across the middle of the country to the east coast, and then down to Sydney. It will test your pilot skill like no other add-on and provides often edge of your seat thrills as you race against the clock to post the best times for the legs. You will have to fly from the city of Perth (western coast) to Alice Springs in the heart or Australia in a total of 8 stages. Part 1 includes the files and plans and missions files necessary to get your from Perth to Alice Springs. After every run, you send your time to the Roussillon Aéro Simulation (RAS) website, so if you have completed one of the best times, you will be placed high on the leaderboard. 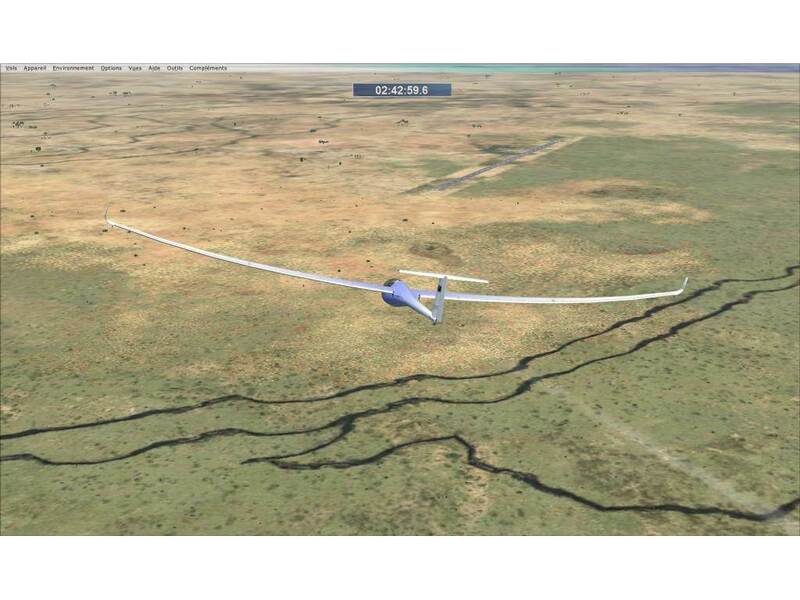 In part 2 you again take control of the DG 808S glider to end the crossing of Australia. You will take off from Alice Springs to head toward Sydney over 16 stages with several legs running down the east coast of Queensland and New South Wales. Instructions are provided for installation in the download. Note that you need to install the files in the correct FSX folders for your FSX installation. The instructions contain folder paths for default installs only on 32-bit systems. If you are running 64-bit or have FSX installed in a custom or different folder, ensure files are installed into that folder and not to the default location. If you are not sure where to install files or how to copy files in Windows easily, this may not be the easiest one to install for you (just a friendly warning). HAVE FUN AND GOOD FLIGHTS TO ALL!